A Chicago native, Mr. Bizzieri genuinely cares about the legal issues that affect the citizens of our community. Early in his legal career, he served as a litigation defense attorney, so he has a unique perspective on the tactics insurance companies use to deny or reduce claims, enabling him to devise more effective strategies for his plaintiff clients. Having recovered millions of dollars on behalf of innocent accident victims, Mr. Bizzieri and our law firm can handle the demands of your case no matter how complex or challenging, and we receive many referrals from satisfied clients. If you suffered an injury or loss due to another party's negligence or wrongdoing, you can trust Bizzieri Law Offices LLC for assistance and support. 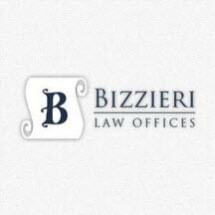 For more information, you can contact our law firm to schedule a free initial consultation.